Are you ready for sky diving like an eagle fly in the sky to fulfill your dreams? If yes, than what are you waiting for? Welcome to the Sky Diving Championship: Air Stunts Simulator, buckle up yourself in skydiver’s wing suit and fall from the cockpit of the airplane for sky dive. Control your nerves like the fanatic skydivers, your mind will be expandable when sky diving across the wind at a nimble speed. Beware from colliding with the airplane and skyscrapers else, you will lose the game. 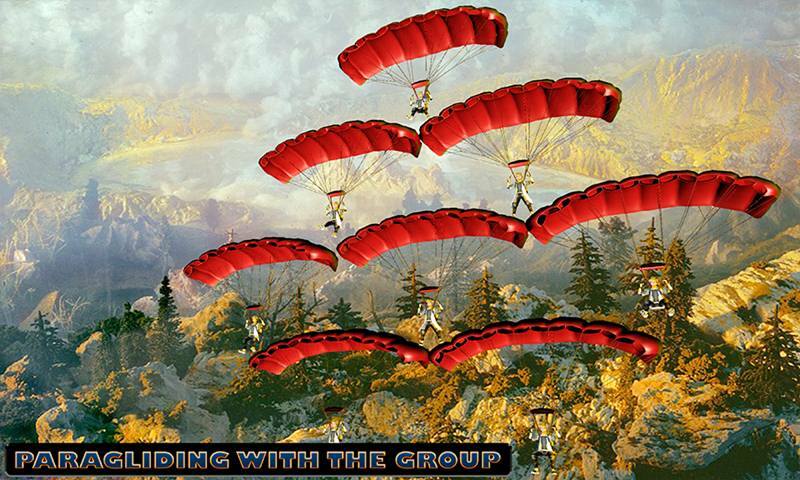 This recreational rookie experience of skydiver game will take you to professional paratroopers. 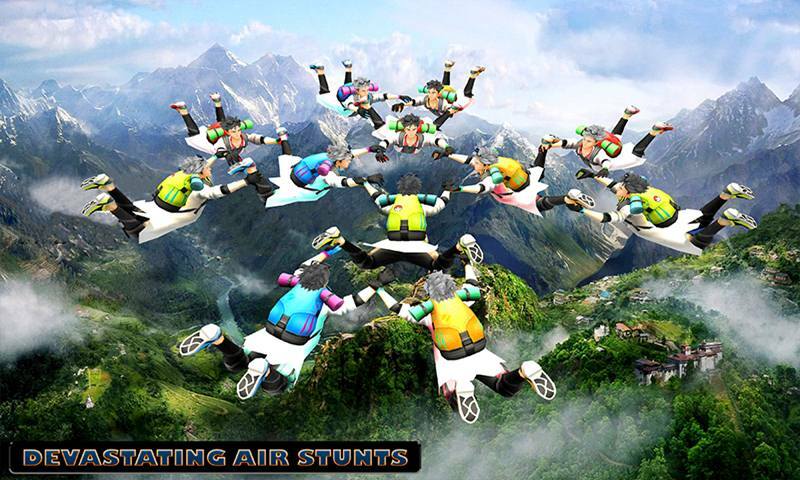 Sky Diving Championship: Air Stunts Simulator especially designed for the sky diving games and sky diver games lovers. Show that you are the best skydiver out there, fascinate the people with your incredible air stunt while falling from the sky. 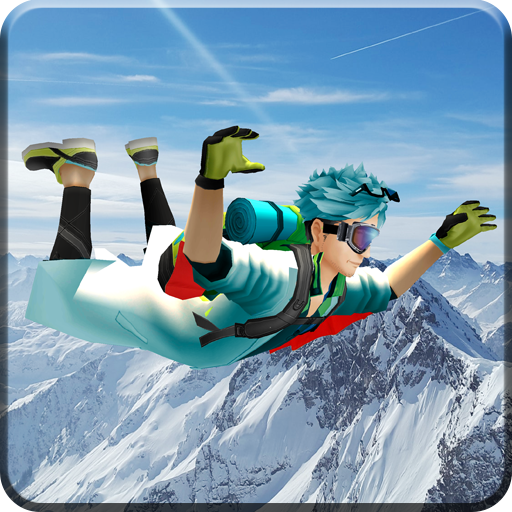 Do not open the parachute earlier, challenge your fear by going between the skyscrapers and mountains collect the checkpoints to get more score in this wing suit game. Amazing sky diving game play and strange camera angles will give you realistic feeling that you truly performing the sky falling. Enjoy the most demanding Sky Diving Championship: Air Stunts Simulator that contains the sky diving and sky diving stunt missions for you. Choose your luxury airplane and brave paratroopers to play the sky diver game. Sky diving is not as easy as we think so far, jumping from the thousands feet above the earth, appraise that how much it could be dangerous for the sky diver. However, you can try this sky diving in this free wing suit game and fulfill your sky diving dreams. 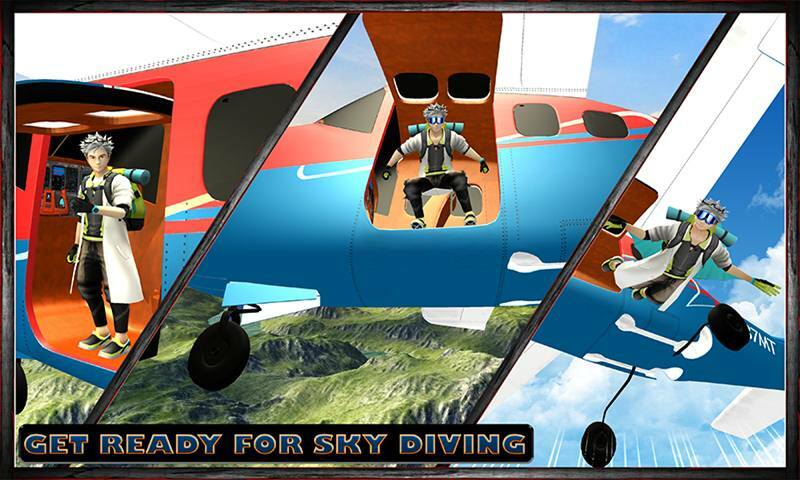 Experience the aerial flight of a skydiver, perform deadly stunts, go between the mountains skyscrapers and get all moving ring points before reaching to the finishing point. Pick up the booster points to speed up your sky falling speed to complete the sky diving challenge before your rivals. You will love to enjoy the beauty of the nature in the bird eye view. Open the parachute when you come closer to the surface of the earth so that you can safely land. Unlock the other bravo paratroopers and luxury airplane easily by making more score in this sky diver simulation. 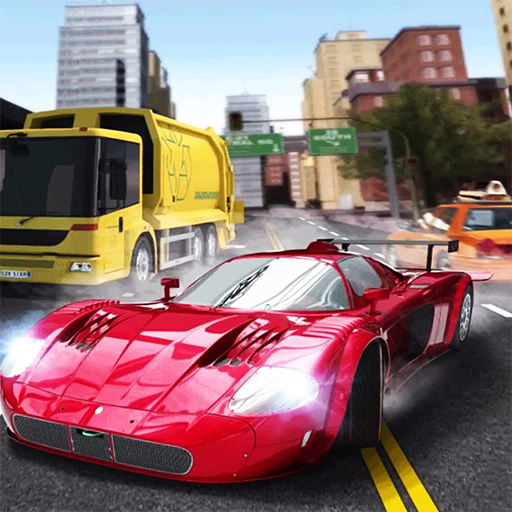 Smooth controls of skydivers and addictive game play made this sky diving simulation crazier. 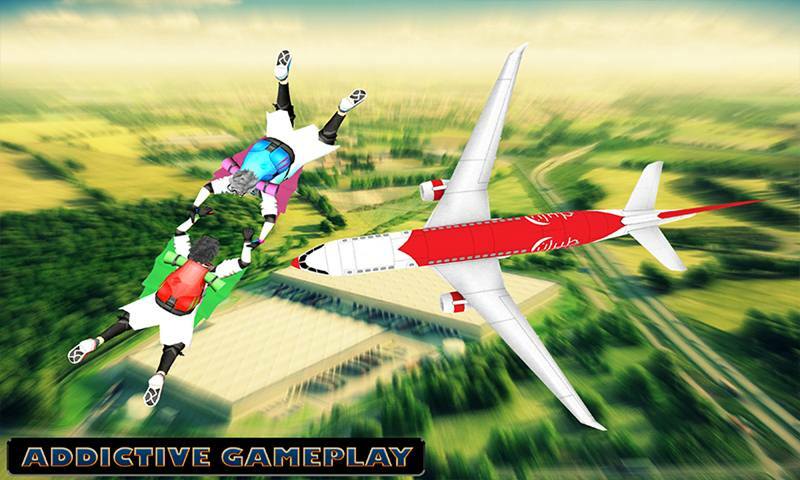 • Choose your luxury airplane and skydiver to play. • Sky falling from the airplane. • Collect the checkpoints and booster. 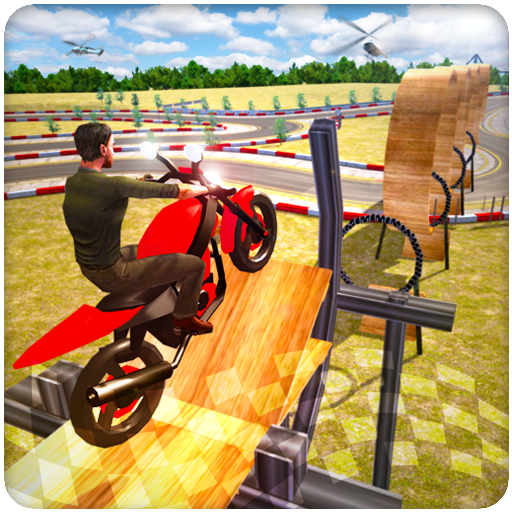 • Go between the skyscraper and mountains for stunts. 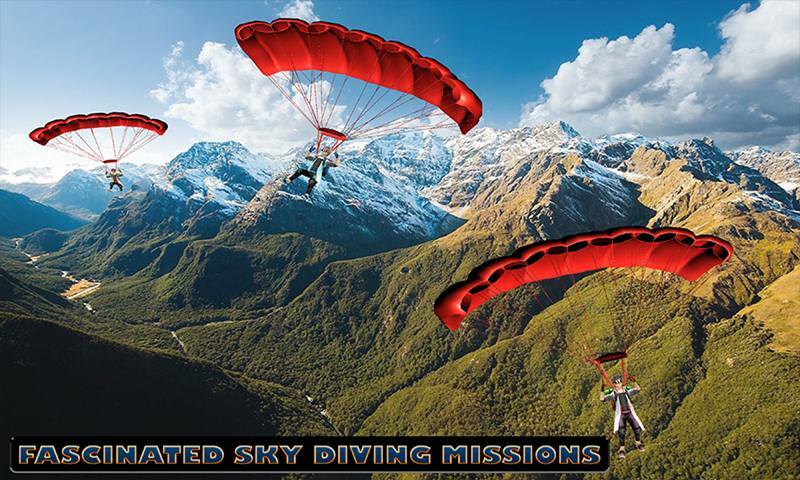 • Fascinated and incredible sky diving missions. 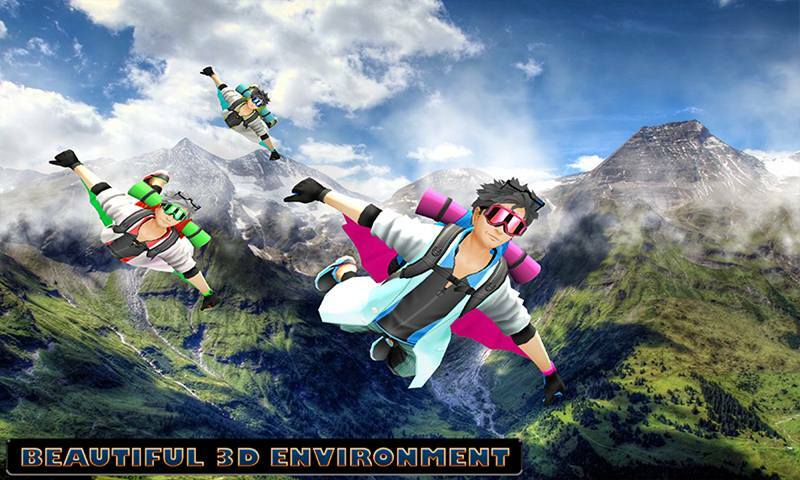 • Beautiful 3D environment for sky diving. 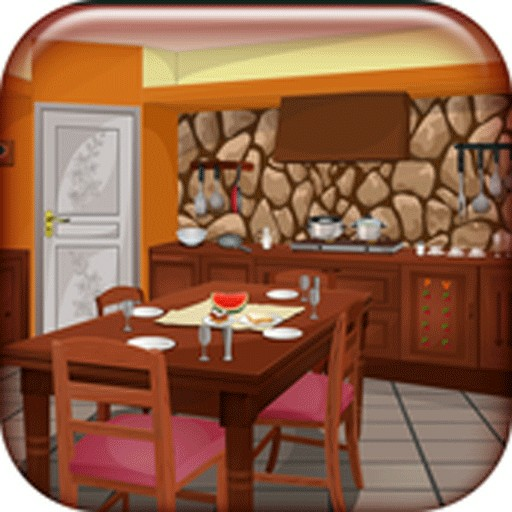 • Challenging and addictive game play. • Smooth controls of skydivers. The professional band of paratrooper are ready for sky diving from the airplane in Sky Diving Championship: Air Stunts Simulator. 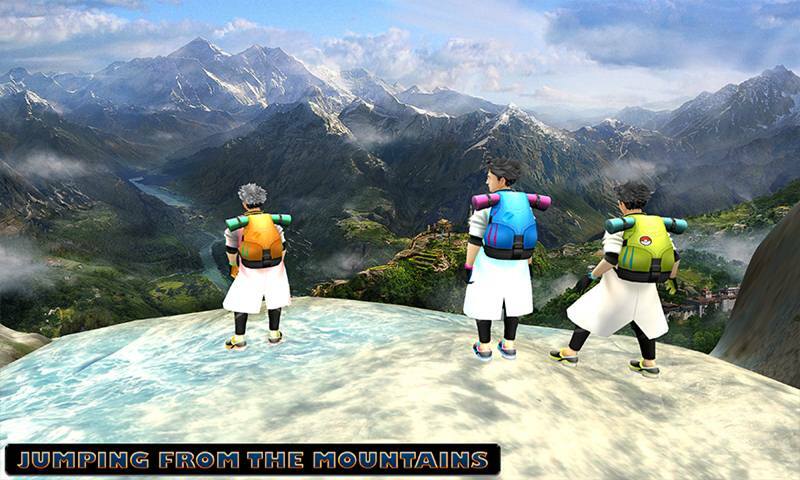 Get ready to join the sky diving party and show them your incredible sky dive skills. 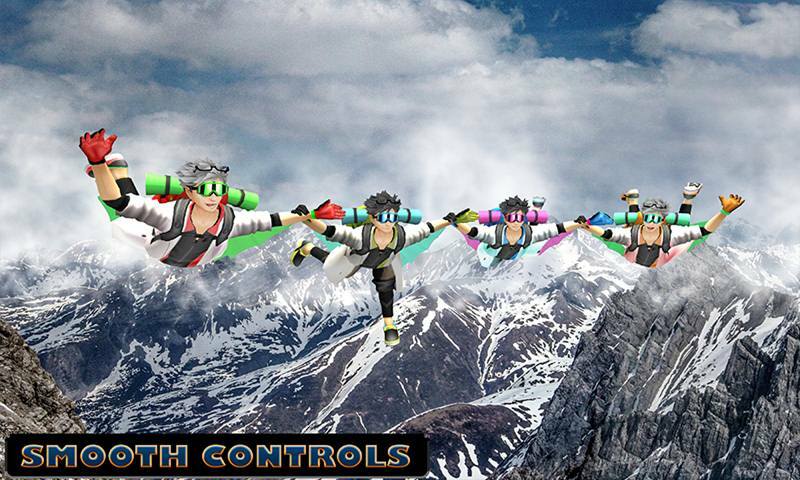 Collect all points and unlock the other brave skydivers and thrilling missions that are waiting for you to play.